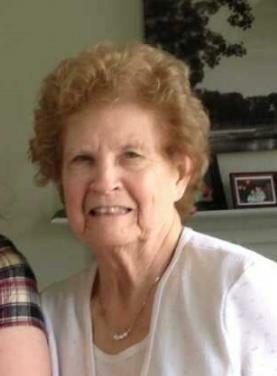 Shirley J. Petrick, 84, DuBois, passed away, Monday, April 1, 2019 at Penn Highlands Healthcare. She was born February 18, 1935, in Luthersburg; daughter of the late Clarence & Mercea (Bennett) Gearhart. On May 23, 1959, she married Donald W. Petrick, Sr., he survives. In her younger years Shirley and her family moved to Niagara Falls where her father got a job working on Airplanes for the War effort. After returning to DuBois, Shirley graduated in “1954” from Brady Twp High. She was a secretary for the Superintendant of the DuBois School District. She enjoyed going camping and ceramics. In addition to her husband, Shirley is also survived by her two children, Kathleen A. (Charles) Moore of Ligonier, PA and Donald W. (Mary) Petrick, Jr of DuBois, three grandchildren Kimberly (Matt) Haught of Orlando, FL, Charles T. (Lauren) Moore of Ligonier, PA and Sean (Kelly) Petrick of Bowling Green, OH, a great granddaughter Brynn Haught, of Orlando, FL, a brother Clifford “Butch” (Patty Jo) Gearhart of DuBois, a sister Patricia (John) Errington of Painted Post, NY and numerous nieces and nephews. Shirley is a member of the Holy Trinity Byzantine Catholic Church in Sykesville. Also preceding Shirley was a sister Judy Whaling. Visitation will be held on Thursday, April 4th from 2-4 & 6-8pm and on Friday, April 5th from 9:30am until 10:30am at the Leo Nedza Funeral Home in Sykesville. Parastas will be held on Thursday at 5:30pm & Panachida will be held on Friday at 10:15am, both at the Leo Nedza Funeral Home in Sykesville. A Divine Liturgy will be celebrated at 11 a.m. Friday, April 5, at Holy Trinity Byzantine Catholic Church with the Fr. Vasyl Banyk as celebrant. Burial will follow in the church cemetery.